Exclusive set: The EVO820 Exclusive set includes two additional screens. 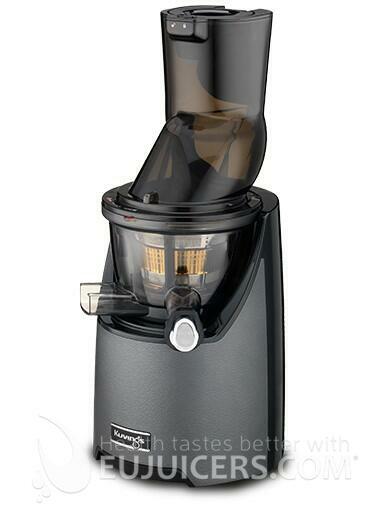 Use the smoothie screen to mix soft fruit with nut or dairy milk. 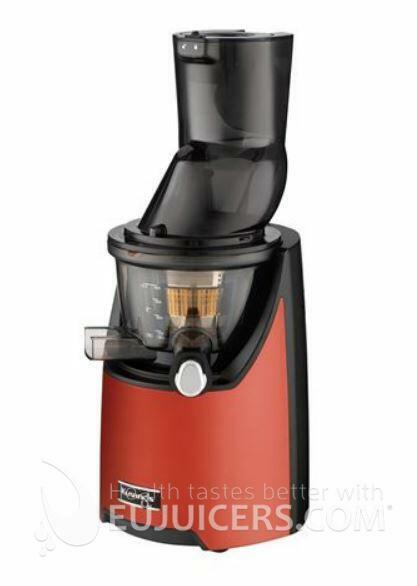 The homogenizing screen turns the EVO820 into a food processor capable of making nut butter, frozen sorbets, and fruit-based ice cream. 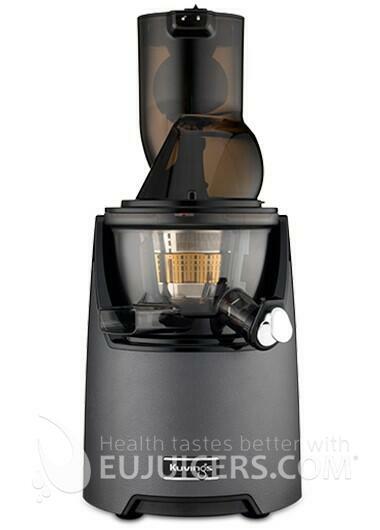 "Evolution" is a good moniker for Kuvings new flagship juicer. 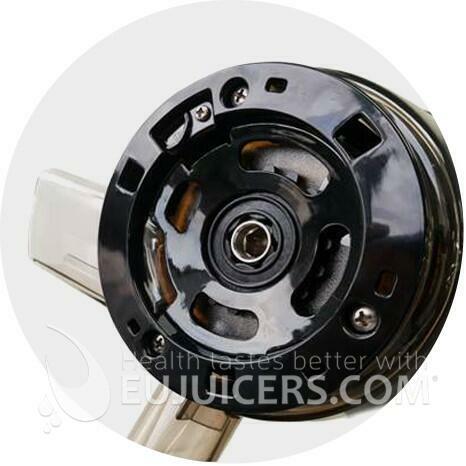 Rather than reinventing juicing, they have evolved it forward by improving some things about their already fine C9500 and similar Omega MMV. 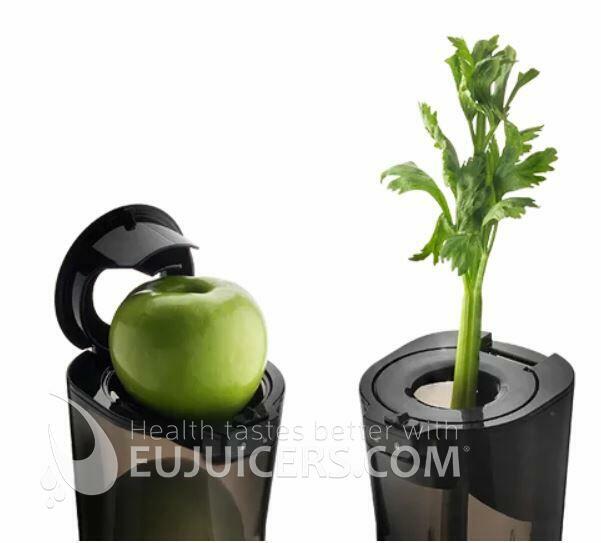 While we're still not fully convinced of the benefits of wide mouth juicers - we feel it is best to cut produce into smaller pieces for the best juice yield and quality - the elimination of the safety blade does make this much more convenient. 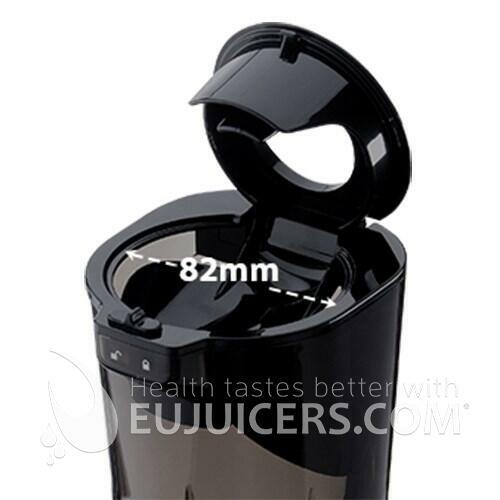 The trap door system is clever - something we've seen before on the Sana Horeca commercial model but never in a home juicer. The wider mouth does make a difference, as medium sized apples will now fit although larger varieties will still need to be cut. 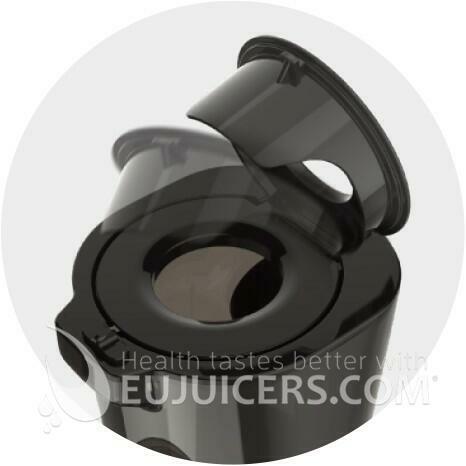 We are glad to see the reinforced juicing chamber, as the wide feeding tube makes it tempting to put things like whole beets into the juicer - things that can create a lot of pressure on the juicing chamber and screen. Styling is subjective but we think the new design looks very premium, especially in the dark grey. 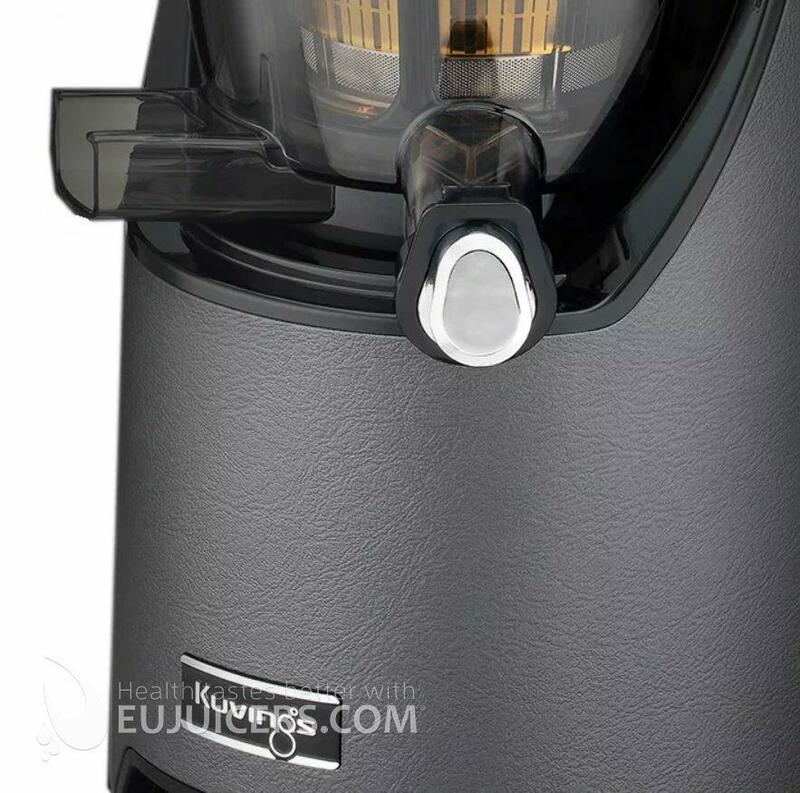 We also like the textured finish from the practical standpoint of hiding stains and being easy to clean compared to smooth plastic. 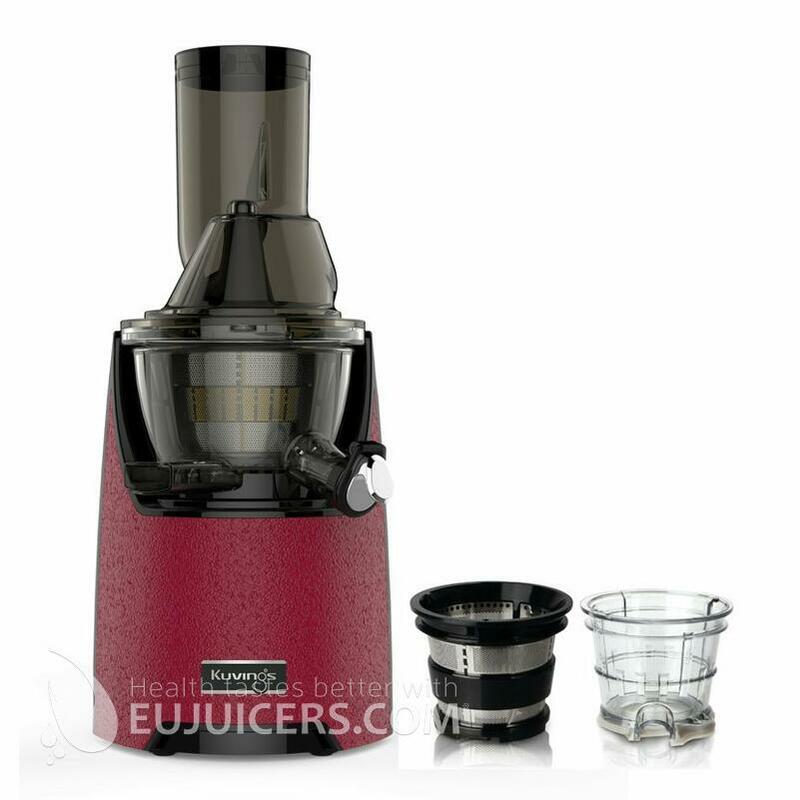 The extra screens in the Exclusive set really expand the capabilities of this juicer, although horizontal models are still more versatile.